How beautiful is the image above?? Is it any wonder that interiors steal ideas and inspiration from Mother Nature?? This is Malachite. A Copper (hence the green colour) mineral. The name originates from the Greek for ‘mallow’ due to its resemblance to the Mallow Plant. This mineral can be ground and used as a colour pigment and has been for hundred of years. The Egyptians used it to decorate their tombs and it was used extensively in the 15th and 16th centuries by the European painters. Previously Malachite was mined in the Urals in Russia, but is now mined in Australia, France, Israel, Namibia, America and Mexico. 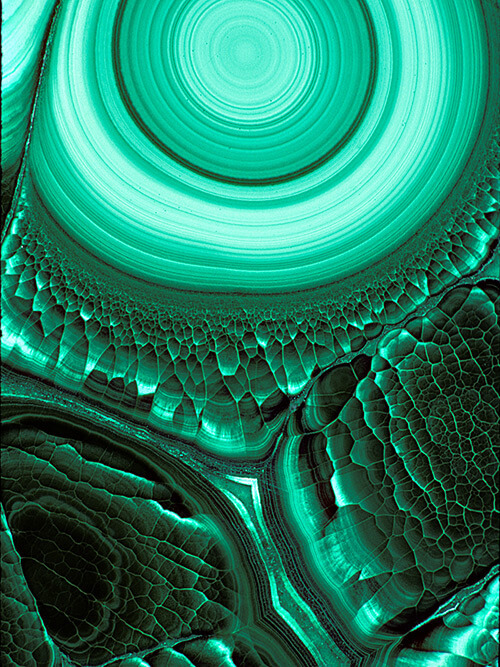 Now to the interiors, Malachite can be found in many forms within the interiors from wallpaper, textiles and ceramics. 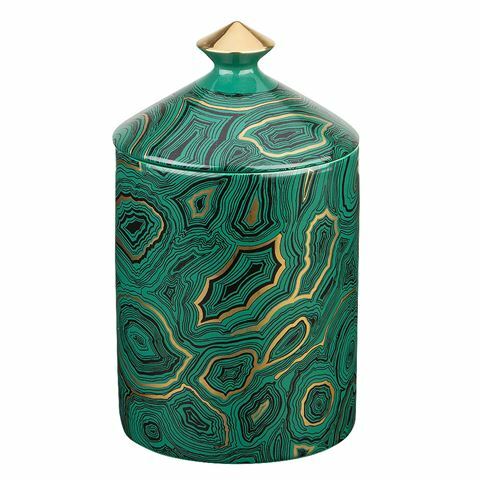 If your budget does not stretch to buying a chunk of the real deal, then here’s a few ideas how to get a piece of Malachite in your decor. As if you need anymore proof of Mother Nature’s awesomeness!!! 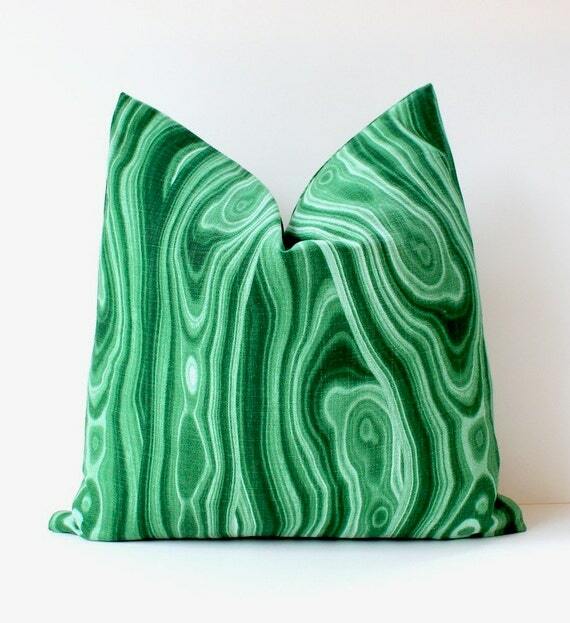 And of any of these options prove to much for the budget, then One Kings Lane have a cheap way of creating a Malachite effect in your home for a fraction of the cost. Check out the link below for instructions. ‹ Previous10 Ideas for Wall Decor, that’s not a Framed Picture! !